Francis Bacon -Important Irish born British painter (1909-1992) best known for his grotesque, sometimes violent imagery often incorporating flayed human figures. 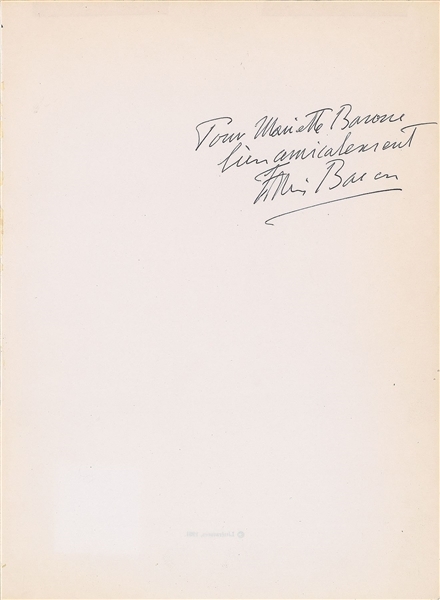 Uncommon ballpoint signature and inscription in French, “Pour Mariette Barone, bien amicalement, Francis Bacon,” on an off white 7.75 x 10.5 sheet. In fine condition.